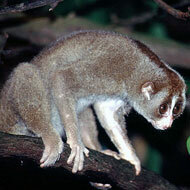 The most commonly listed animal was the Sundra slow loris, which was illegally traded as a pet and prop for tourists. A study by the wildlife group TRAFFIC has found more than 1,500 live animals listed for sale on Facebook in Thailand. Researchers monitored a dozen Facebook groups for 30 minutes a day, over 23 days in 2016. 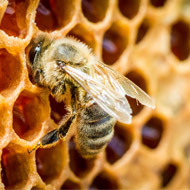 A follow-up study in 2018 revealed that 10 of these groups remained, of which one had become a secret group. Membership had nearly doubled, from 106,111 to 203,445. Out of 200 species being sold, 47 per cent were not protected under Thailand’s primary wildlife legislation, in many cases because they were not native to the country. Most were mammals, birds and reptiles. The most commonly listed animal was the sunda slow loris, which was illegally traded as a pet and prop for tourists. In total, researchers saw 139 listed for sale. Other animals being sold included a critically endangered helmeted hornbill and 25 Siamese crocodiles. In light of the research, TRAFFIC urged Thai authorities to close legal loopholes and bolster current enforcement efforts.